Most of us will have watched a BBC documentary at some point and seen exotic octopuses, cuttlefish and squid in foreign seas. Fewer of us realise that these molluscs, which resemble aliens in our imagination with their tentacles and large heads, can also be seen relatively easily around the UK coast, often in only a few meters of water. In some respects, scientists already know a great deal about some cephalopods – the taxonomic class to which octopus, squid and cuttlefish belong. We know in intricate detail how cephalopods change colour so rapidly. But we know very little about their behaviour in the wild, especially cephalopods in the UK – despite UK scientists Alan Hodgkin and Andrew Huxley winning the Nobel Prize in 1963 – with Australian scientist Sir John Eccles – for their work on the giant squid's physiology. After a mass stranding of octopuses in October 2017 came to light, one of the things that surprised me was that so many were close together – they are thought to be solitary animals that are found at depths in rocky areas, not clustered together in the sand of shallow water. We know little about their behaviour simply because they are hidden from view to nearly all of us, apart from those brave souls who dive all year round in UK waters. To help understand the octopus stranding I created a project asking for help in learning more about these enigmatic animals and by encouraging citizens to become scientists. The public at large are great at observing things and scientists don't have the time or resources to gather all of the data which people take for granted. Collaboration between citizens and scientists is not particularly new in the UK either – each year the Bristol Natural History Consortium organise "BioBlitzes" across the country, where people are encouraged to head outside to find, identify and count as many species as possible. When we have encouraged amateur naturalists, it's usually to look for terrestrial organisms. We know very little about what goes on even a few meters below the water and this is a great chance to change that. Thanks to public sleuthing, we're finally learning what motivates cephalopods, what they do with their time and how they do it. We've seen cuttlefish sleeping in groups and gathering in numbers as big as 30 – both firsts for this species. We have watched videos of cuttlefish fighting, squid schooling and bobtails bobbing. There has even been a sighting of a huge common octopus which was thought to have gone extinct from UK waters after a cold snap in the 1960s. We have seen cephalopods hunting at night and exhibiting different behaviours than those typically seen during the day. We have had over 200 sightings of the curled octopus, including many in rock pools – a very exciting find. This latter observation highlights how valuable an opportunity a stroll by the sea can be for research. It should also be a call to arms for citizen scientists. 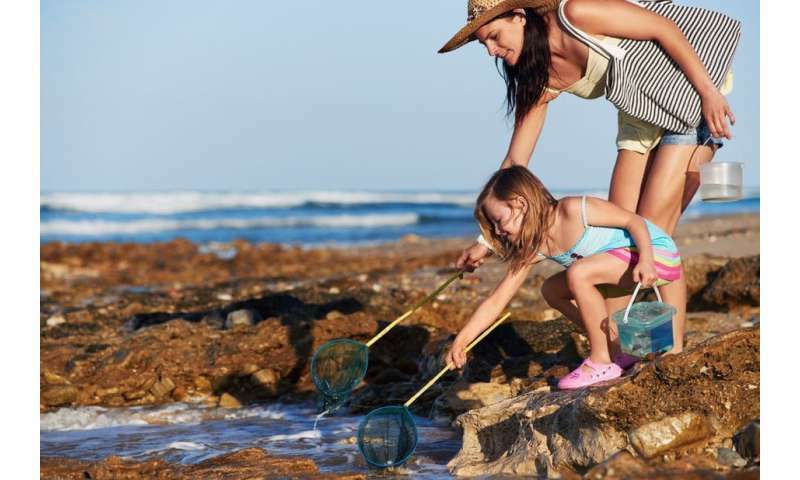 Beachcombers, dog walkers, rock pool explorers and natural born naturalists: perhaps you're finally off school for the summer break, or are taking a well-earned break from work and looking to cool off by the coast. Cephalopods are very delicate, so don't touch, poke or prod anything you find. But if you'd like to get to know the ocean better, then take a look in the nearest rock pool for an eight-legged friend.